We specialize in sending clients on "custom" safaris to the many southern countries of Africa, including, South Africa, Zambia, Zimbabwe, Botswana, Mozambique, Tanzania and Kenya. We have over 30 years of experience visiting these countries and also have representatives in South Africa to help you stay informed on the latest developments. Safari in and around one of Africa’s largest game reserves to experience it’s wide range of landscapes. Known for it’s high density of wildlife, including the big five, the world-renowned Kruger National Park is an ideal place to get up close and personal with nature, accompanied by expert rangers and trackers. For the hunter there is no continent in the world that provides the hunting opportunities like Africa. Become familiar with expected weather conditions so you can be prepared with the proper clothing to make your trip more enjoyable and successful. Custom Travel Staff can provide you with the proper information for a successful hunting experience. Find luxurious amenities and gracious hospitality in a variety of private game reserves. From relaxing spa and massage treatments to sundown drinks in the bush or a culture-packed dinner in the Boma, find a sense of comforting tranquility amongst the excitement of South Africa’s wild. It’s not surprising that Cape Town is such a desirable destination for visitors. As the oldest city in South Africa, it’s rich in culture and history. Located on the coast of South Africa’s southern tip, it offers a bountiful list of activities. 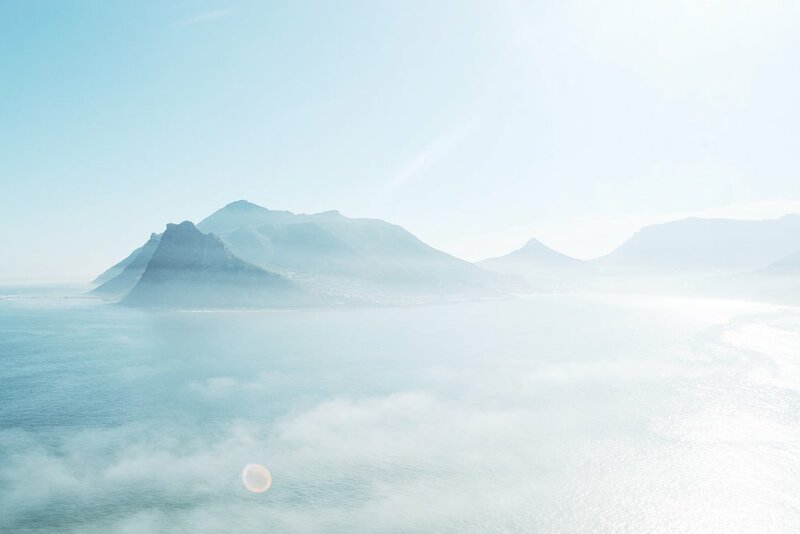 Ride a cable car to a romantic dinner on top of Table Mountain, skim the shores by boat on a sunset cruise or take in the coast from a helicopter’s vantage point. Go whale watching and even dive with great whites in the infamous Shark Alley. Relax on the pristine bay beaches, enjoy a round of golf at one of the many picturesque courses or learn from a variety of historical and cultural tours. The list of remarkable experiences is truly endless in Cape Town. While in the Cape Town area, the spectacular mountain scenery, valleys and vineyards of Stellenbosch and Franschhoek are an experience not to be missed. Enjoy wine tours and tasting, dine at world renowned restaurants and stroll through oak lined streets with many antique shops and art galleries. If you want to stay a little longer, unwind in one of the charming Inns the area has to offer. Visit one of the World’s Natural Wonders and most spectacular sights in all of Africa. Enjoy a cocktail on the Zambezi river or lunch in a white canvas tent on Livingstone island before touring the falls from every vantage point. 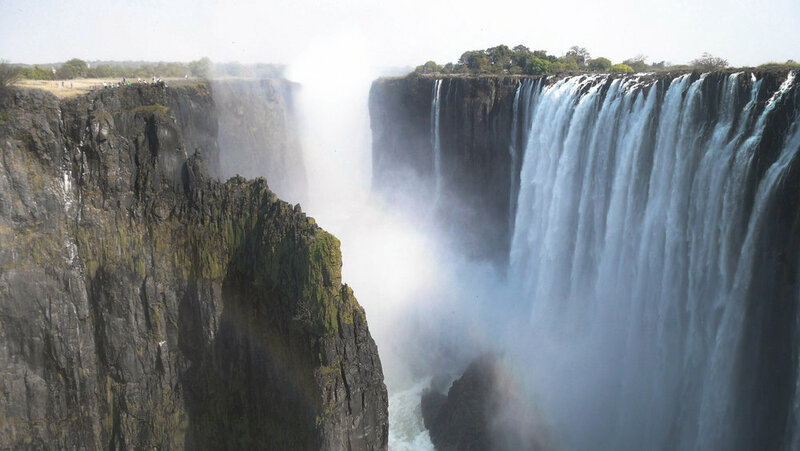 Exciting excursions include walks along the falls, bungee jumping from Victoria Falls Bridge, white water rafting through the rivers below, or a delightful sunset riverboat cruise. Contact us for the current airfare rates. We can book your flights through a variety of airlines. The rates above are based on space availability. Fares vary with seasons and special offers. Custom Travel has the lowest rates in the industry. Therefore, to get the best fare for your trip you need to call us and talk to one of our agents. flights to and within Africa. Low cost add-on fares from other cities in the U.S. to New York or Washington-Dulles are available. Also, low cost fares are available for domestic flights within South Africa and regional flights from South Africa to various major cities in surrounding countries. South African Airways and United are a part of the Star Alliance program for frequent flyer miles. Tell us what you're looking to experience and we'll work to find the best airfare, lodging, and touring opportunities. If you prefer, we can chat about what you're looking for. Briefly tell us what your looking to experience.